This three-storey brick building was built in 1912 for Thomas William Gibbard and his partners W.J. Magrath and B.A. Holgate. Magrath and Holgate were the principal entrepreneurs behind the development of the Highlands area , and their mansions still stand just south of the Gibbard Block. Thomas Gibbard never achieved the local fame of Magrath and Holgate, but his enterprises flourished even as the fortunes of Magrath and Holgate declined. Gibbard owned an important furniture making business in Napanee, Ontario, and his involvement in the construction of the block seems to have been primarily as an investor. Gibbard may never have actually lived in Edmonton, though he made several extended visits and his daughter and her husband live in the city at 102 Avenue and 116 Street. In the wake of the collapse of the Magrath and Holgate fortunes Queen's University in Kingston, which held a mortgage on the property, found itself owner of the Gibbard Block in 1926. The university retained ownership of the property until 1945, and since that time it has had a series of owners. Originally built as a commercial and residential building, it was divided up into luxury apartments on the second and third floors. Changing fashions in housing meant that these apartments became less attractive in the late 1940s and by the late 1970s most served as low-income housing. 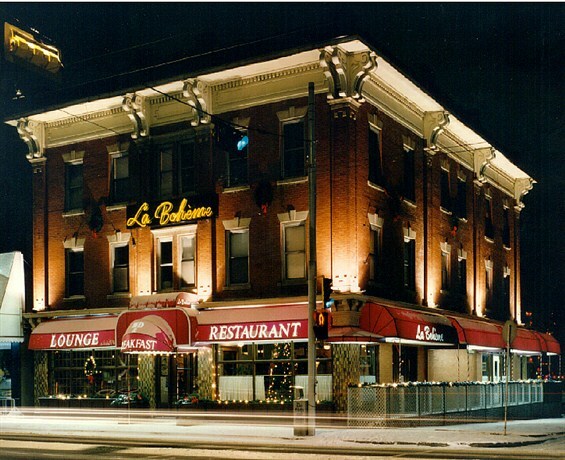 Since the 1980s upgrades of the Block and the renewed appeal of the Historic Highlands area has recently restored some of the lost fashionability of the Gibbard Block. Designed by E.W. Morehouse, a prominent Edmonton architect, and developed by Magrath, Holgate and Gibbard, noted businessmen and entrepreneurs, the Gibbard Block provides an excellent reflection of changes in the social and economic climate of Alberta and Edmonton and the social history of housing in Alberta's urban centres. Saturday September 21, 1912 The Edmonton Journal announces "Three-Storey Block Will be Apartment House". The value of the north end of the city from a commercial viewpoint is just beginning to cut a figure among the business men of the city, and a handsome new building is shortly to be erected on block 23, Bellevue Addition, adjoining the Highlands. When this block is up the Highlands and the surrounding property will receive a big boost, for the street cars run right alongside the property, and situated as it is near to the Swift Canadian plant, this portion of the city should go ahead more rapidly that it has previously done. The Building is being erected for the Magrath-Holgate company, and is to be offices and an apartment house. Three storeys in height and with its architectural design of the latest, the premises should prove a missing link to the district, and will supply a much needed want. It is of brick construction, and contains eleven suites, three stores, and suites from one to five rooms, with electric lighting and individual telephones to each suite. Already a number of suites are taken and when the building opens in January the roomers will be right there to take up their residences. The building was designed by E. Moorehouse, architect, of room 27, Jackson block, and is to cost $30,000. The Gibbard Block has always been part of The Highlands in spirit, if not in fact. Technically it was just outside the original western boundary of The Highlands. Thus, an amenity was added to The Highlands without compromising its exclusive character. 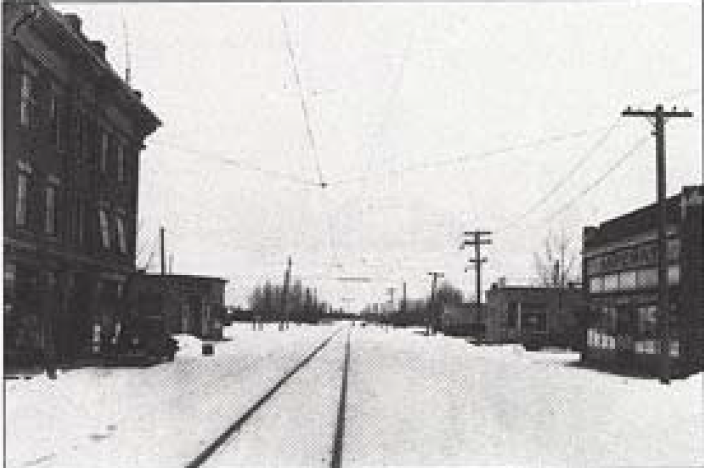 In September 1912 a “ New Magrath-Holgate Block, to Cost $30,000” adjoining The Highlands, was announced in the Edmonton Journal, and in November the company took out a permit to erect “stores”. April 1913 saw Magrath, Holgate and William T. Gibbard, president of the Gibbard Furniture Co. of Napanee, Ontario, become owners of this property. The building was named for the latter, even though Magrath had invested more in the venture. In 1913 the Gibbard Block was described as “the latest idea in architecture, comfort, modern equipment and convenience”. A Central gas plant provided cooking fuel, and each suite had a telephone and hot running water “night and day the year round”. Brick from Redcliff, Alberta was used for the exterior. Classical details including pilasters, brackets, a cornice, and contrasting sills and keystones, enriched the Gibbard Block’s appearance. The Original owners of the Gibbard Block parted with it in 1926. Various businesses including the Highlands Drug Store, Highlands Hardware, Highlands Barber Shop, and Jamison's Coffee Bar operated around the GIbbard Block. Ernst and Carole Eder became tenants in 1979, and began purchasing the block in 1985. The exterior is largely restored, the main floor is a restaurant, and a bed and breakfast hotel occupies the upper floors. 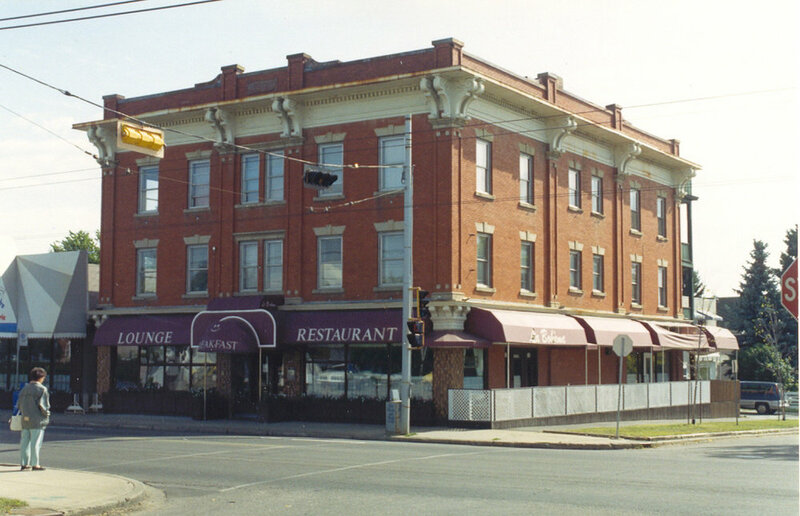 The Gibbard Block was designated a registered Provincial historical resource in 1992.